Sisserou’s March 14th: Cynthia Simmons Trio 6:30pm – 8:30pm. Reservations recommended. Overture Fundraiser for Signature Symphony at TCC River Spirit Casino March 9th, 6:00 pm with the Zuits. For tickets, click here. Lefty’s on Greenwood February 12th, 7:00 pm – 10:00 pm with Scott McQuade. Admission is free. Sold Out! Live at the Planetarium Feb 9th, 2019 5:30 pm: What do you get when you mix live music with the moon and the stars…a night to remember! The Tulsa Air and Space Museum and The Taylor Entertainment Group present “Live at the Planetarium” an evening of fun and fantasy as the Planetarium connects with the music to provide a visual experience like no other!! 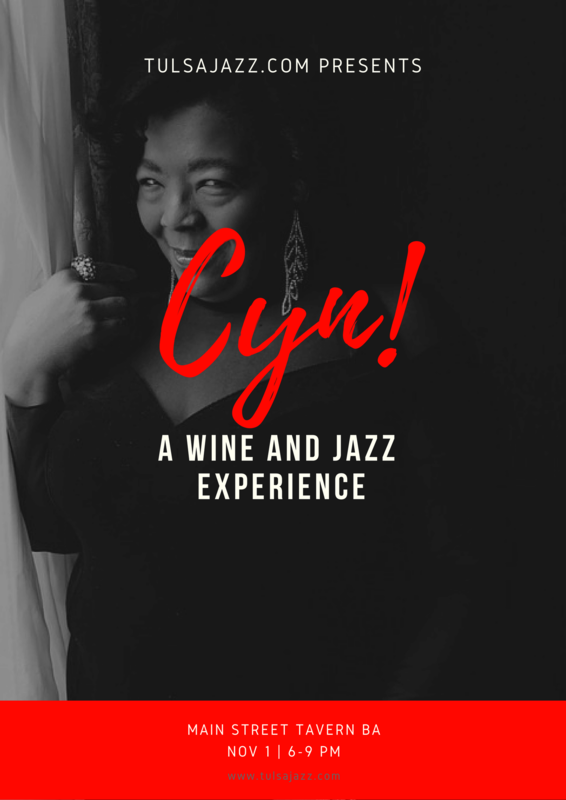 Cynthia Simmons At Doc’s Sept 23, 2018: Cynthia Simmons invite’s you to Live Jazz at Doc’s Wine and Food Sunday September 23rd 6-9 pm. 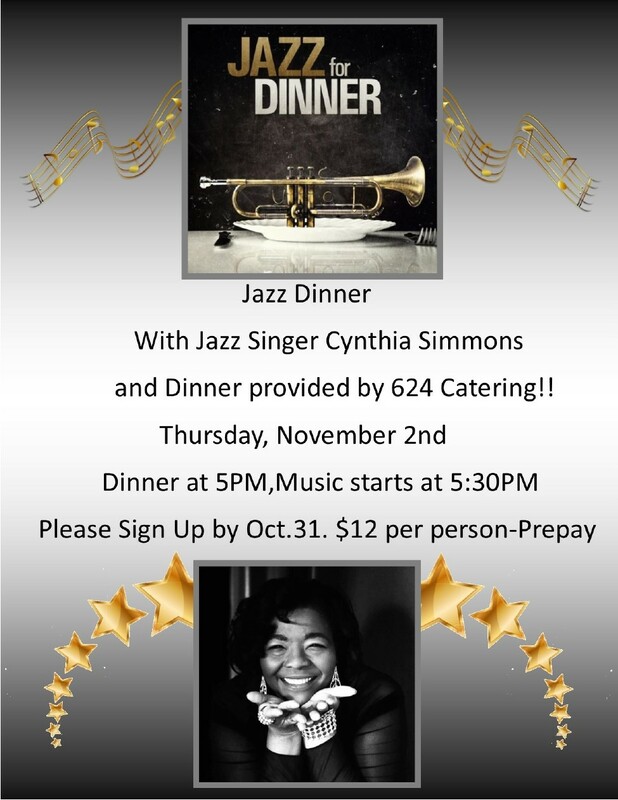 We can’t think of a better way to spend an evening than listening to your favorite jazz tunes performed by the incredible Cynthia Simmons! 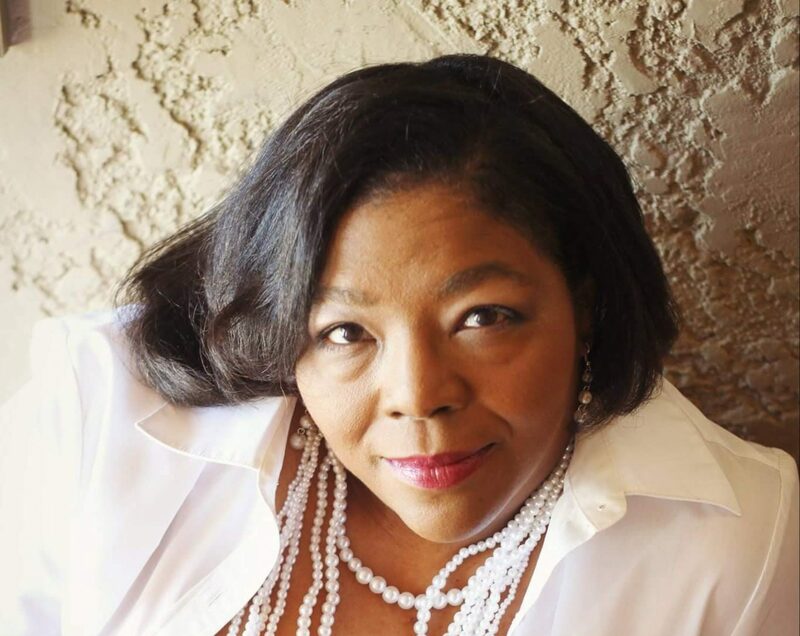 Kirin Restaurant August 10th 2018: After a highly successful celebration of Kirin Restaurant’s anniversary and grand opening of their newly expanded dining and bar area The Cynthia Simmons Trio makes a return performance Friday Aug 10th from 6:30-8:30 pm! Joining Cynthia will be the incredible Matt Hayes on Bass and the marvelous Frank Brown on Guitar! Cynthia Simmons Love in Concert! June 23rd 2018 7:30-9:30 pm: Cynthia invites you to enjoy an evening of love and romance at the Tulsa Performing Arts Center as she presents “Love in Concert”! Joining Cynthia will be some of Tulsa’s finest musicians Scott McQuade on Keyboard, Matt Hayes on Upright Bass, and John Delavadova on Drums. 2018 International Jazz Fest “Swing Style” Presented by Spirit Bank! : TulsaJazz.Com’s 2018 International Jazz Fest “Swing Style” Presented by Spirit Bank! Takes place Friday May 4th, 6-9 pm at the Guthrie Green. This incredible free concert is part of the Tulsa Arts District’s monthly 1st Friday Art Crawl which averages 2000-3000 attendees per event! This is an official 2018 International Jazz Day event! In 2016 TulsaJazz.comhad the honor of being the producer of Tulsa’s first official participation since the event’s inception in 2012. (See www.jazzday.com for additional details). International Band: “Was Nun?”: This fabulous Jazz Sextet from “Hochschule fuer Musik Theater und Medien Hannover” in Hannover, Germany is being presented by the Tulsa Global Alliance, the Tulsa Celle Sister City Partnership, and the Taylor Entertainment Group! We are thrilled to welcome this wonderful group to Tulsa and excited about them performing in this incredible event! The TEG Swing Band under the direction of Dr. Clark Gibson: An All-Star Swing Band custom created just for this event! The group contains a mixture of highly talented local and non-area artists performing many of the top tunes from the Swing era! The Battle Royal: In the tradition of the famous Duke Ellington, Count Basie Band battle we will have our own version featuring the award winning Union High School Jazz Ensemble 1, one of the top ranked High School Jazz bands in the state and the award winning Northeastern State University Jazz Ensemble. This incredible performance will also feature Tulsa favorite Cynthia Simmons as guest Vocalist! Cynthia Simmons and Scott McQuade At Doc’s: Cynthia Simmons and Scott McQuade invite you to Live Jazz at Doc’s Wine and Food March 25th and April 22rd, both Sundays! 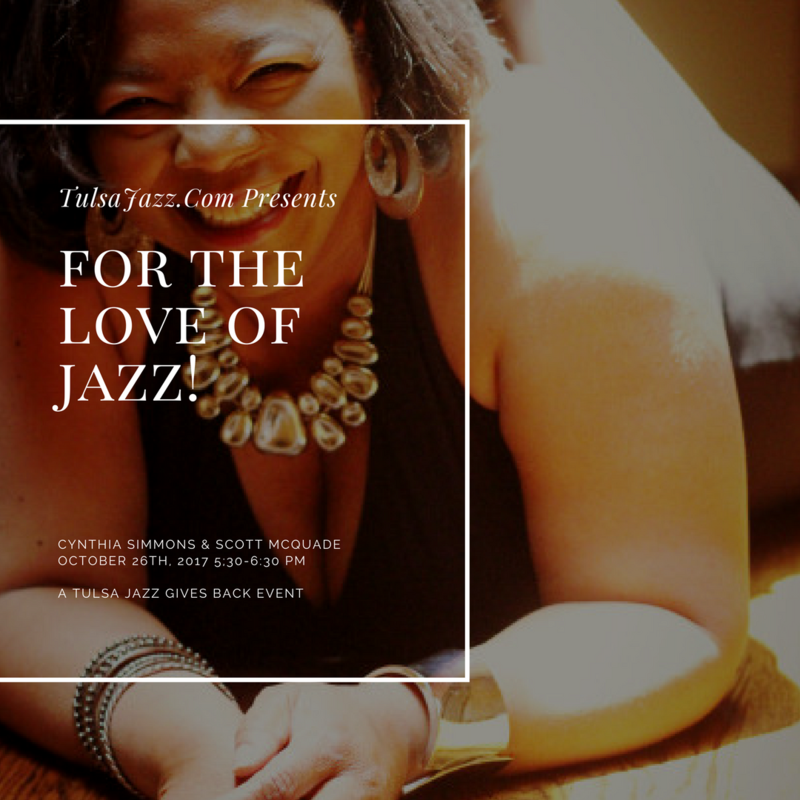 We can’t think of a better way to spend an evening than listening to your favorite jazz tunes performed by Cynthia Simmons, one of Tulsa’s finest performers, accompanied by the incomparable keyboardist Scott McQuade! “Golden Hour” Featuring Cynthia Simmons and Scott McQuade Thursday Oct 26th 2017! : Elder Care will host its monthly “Golden Hour” event this Thursday, Oct 26th at 5:30 p.m. It is also an opportunity to learn more about Elder Care and it’s Golden Opportunities program. The 16th Annual Taste Of Collinsville Kicks Off Thursday September 21st!! :The Taste of Collinsville features many of the area’s outstanding restaurants and pairs them with some of Collinsville’s finest merchants! This allows event goers the chance to sample some of the cuisine that these wonderful restaurants have to offer as well as experience some of Collinsville’s businesses that they might not be as familiar with. I loved the “HR by day, Jazz singer by night.” 🙂 Stumbled across your blog via Twitter, which I rarely use. Serendipity? I’m a former USNavy singer (MANY moons ago). My sister, Sonja, lives in Tulsa (she’s been there two years) and I’m going to share your site with her. I’m hoping to get out there this summer/fall, and would love to come hear you sing/meet you. Thanks so much for the kind words. 🙂 I hope to meet you when you come out to visit your sister. Visit often so you know where I am singing!